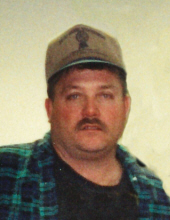 Bobby Martin, 67 of Crab Orchard, passed away Friday, February 1, 2019 at Rockcastle Regional Hospital. Bobby was born December 2, 1951 in the Pine Grove community of Lincoln County. He was a son to the late Bud and Marie Harris Martin. He was a member of Watts Chapel Baptist Church. He was a retired employee of Bluegrass Stockyards having worked there for 49 years. Bobby loved the Lord and his family, friends and neighbors. Several Aunts, Uncles, Cousins, Nieces & Nephews also survive. To send flowers or a remembrance gift to the family of Bobby Martin, please visit our Tribute Store. "Email Address" would like to share the life celebration of Bobby Martin. Click on the "link" to go to share a favorite memory or leave a condolence message for the family.